A fresh translation of the Pistis Sophia from the Coptic and a discussion of its historical setting. Sophia is one of the great symbols of the divine feminine in world civilization and the personification of divine Wisdom. In Gnosticism, the secret teaching of ancient Christianity, she represents the consciousness that all of us share, but which became trapped in the material world as a result of the Fall. One of the most sublime Gnostic texts is the Pistis Sophia or “Faith Wisdom,” a great allegory in which the resurrected Christ tells how he freed the divine Sophia from her imprisonment to powers of spiritual wickedness. In this profound yet accessible work, Violet MacDermot provides a fresh translation of the Pistis Sophia from the Coptic and discusses it in its historical setting. 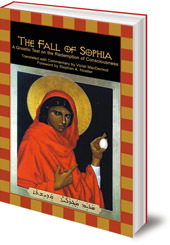 She also shows how the story of Sophia is one in which we too can share in spiritual liberation. Her engaging discussion relates this work not only to ancient teachings, but to the thought of C G Jung, Emanuel Swedenborg and the Kabbala. Violet MacDermot studied Egyptology at University College, London, and was a board member of the Egypt Exploration Society. She has translated other Coptic texts in the Nag Hammadi series.